As gun owners, we have certain rights and responsibilities. We have the right to bear arms, but we also should make sure that we take proper safety precautions in handling and storing a firearm. Guns can be deadly when not treated carefully, and it is the job of gun owners to care for and store our firearms properly, it prevents accidents from happening as well as fueling the anti-gun rhetoric that is currently taking place. 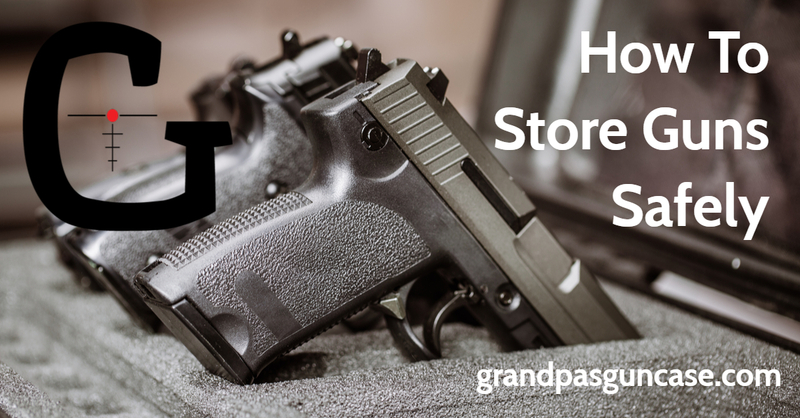 It is paramount that all gun owners take the proper precautions and ensure that the guns we keep in our house are properly stored and are in an area that is not accessible to children. We have all heard the horror stories of parents that were careless and children got access to firearms and killed themselves a sibling or a friend. While these stories are few and far between accidents, do happen, and there is a simple measure that we as gun owners can take to ensure tragic accidents do not happen in our homes. There are a number of different locking mechanisms for different guns, but no matter what you do it is important to make sure that all your firearms are unloaded, except for your self-defense gun. Just this simple measure without having a lock or safe or any other safety mechanism can be one of the easiest and most effective ways. The rest of this article is going to focus on safety measure that can be purchased to prevent misuse of a firearm. A gun safe is the most common way to lock up your guns and ensure that nobody can reach them. They come in all kinds of different shapes and sizes, and they can range in price from fairly cheap to the very expensive intricate cases that are fireproof. You can usually find a good selection of different cases at your local sporting goods store. Either route that you choose it is important to consider a number of things. First, you need to know how many guns that you want to store, and the available size you have in your house. Most gun safes will say they hold a larger number of guns than they actually do. They usually don’t account for scopes and attachments. Therefore, I always recommend that others look to purchase a safe that is larger than the guns that I have so I know I will have enough room to fit. You also want to consider the space you have available, as these safes can get very large and take up a lot of room. Also, it is nice to find a company that will install the safe. They can take up to 2 to 3 people to move them, so finding a company that will deliver the safe it always makes the process go a little smoother, just do the movers a favor and tries to pick a spot on the ground level. Not only will that make them happy, but it will also be a lot easier to move later on. While the nicer safes may be a large investment, a lot of the major brands also offer fire protection. They will guarantee that the guns and anything inside the safe will be able to make it through a fire. This can protect your priceless treasures like grandpas shotgun that cannot be replaced. Also, I like to keep important documents in my safe like birth certificates and social security cards and cash. It is also the best way to prevent someone from stealing your guns, burglars are smart, and they know when your house is empty, if your guns are in a safe they will most likely not be able to take them. The last thing about safes is they only work if you lock them. If you fail to lock the safe or if others know the combination it is no longer effective at preventing people from getting in, so it's important to lock the safe after you open it, this also prevents children from getting in the safe and suffocating. Trigger locks are a simple and effective way to prevent a gun from being used. They are generally sold rather cheap and are a good alternative to buying a safe. You can find them online at stores like Amazon and Cheaper Than Dirt, and they usually come as a package deal. Most new guns are sold with a trigger lock in the package. These are quick and effective ways to make sure that nobody is mishandling a firearm. They come in two different makes, the first is the clamp locks, and they lock around the trigger mechanism. This prevents anyone from using or getting to the trigger. They can be unlocked by either a key or some of the new ones have a combination or punch buttons to unlock. The second form is the cable lock. This is also a cheap alternative to purchasing a case, these locks are generally not sold with a firearm, but they are just as effective at preventing misuse. These locks work by blocking the action. For rifles and shotguns, the cable is fed through the action, and this prevents it from closing. For pistols, the cable is fed through the magazine well and prevent the gun from sliding forward, and for revolvers, the cable is fed through the cylinder and prevents the gun from closing. These two trigger locks are easy and effective measures to preventing your gun from getting into the wrong hands and keep accidents from occurring. I usually have a trigger lock on my gun even when they are in the safe, and this adds an extra layer of protection. Growing up, my dad never had a gun safe; all of our guns were down in the basement. They all had trigger locks on them, but they were in their hard cases that were always locked. This is one of the easiest ways to store a firearm. Any hard gun case offers some protection, but some are much better than others. Pelican cases are the premier gun cases nowadays. They are all weatherproof and provide the best level of protection available. These are some of the best cases, and they can easily be locked with a master lock or other brand of padlock to prevent children from getting to them. There is also another number of hard cases on the market that offer different levels of protection, at a lower price. Just make sure you pick a case that can be locked with a master lock or combination lock. Any of these measures should be enough to ensure your guns are stored safely. I often hear people say well all my guns are locked up but I keep a pistol in my nightstand or a shotgun in the closet for home defense. This is great, and I believe everyone should have a weapon readily available for self-defense, but there are measures that can be taken to prevent accidents. They now make a number of bedside gun safes that allow you to have your firearm at the ready, but it is also locked up. They come in different price ranges, but all offer quick access to your firearm during a home invasion. Some are punch locks while the newer and more hi-tech ones like the Gun Vault use biometrics to unlock immediately. All of these bedside safes are an important investment to make sure all of your guns are stored properly. It is too important not to have your guns stowed properly. The anti-gun people are looking for any reason to demonize law-abiding citizens. They take tragic accidents and turn them into talking points. It is easy and doesn’t require a lot of money to make sure that our guns are properly stowed. Not only does this make for a safer environment it doesn’t give others more reasons to try and ban guns. I recommend investing in a safe, they are large and provide protection from burglary as well as fire. 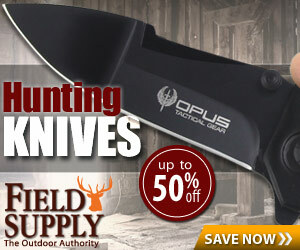 It is one of the best investments you can make for your guns. I also recommend the bedside safe as well, having all of your guns locked up except your self-defense isn't smart. These safes are easy to use and will open quickly in case something should ever happen.